The Police Department’s overtime for 2016 is projected to exceed $69.9 million, by approximately $13 million, or about 23% more than budgeted. For the first time in 2016, Nassau County will have a number of police members who will earn more than $300,000 in total earnings. Mineola, NY - December 6, 2016 - The Police Department’s overtime for 2016 is projected to exceed $69.9 million, by approximately $13 million, or about 23% more than budgeted. By 2016 year-end, over 30 police members are expected to earn more than $100,000 in overtime, and one police officer has already received almost $180,000 as of November 30, 2016, and may exceed $200,000 by year-end. The overtime earnings also appear to be heavily skewed towards a relatively small number of police force members who tend to be the highest paid, with 90% also eligible for retirement. For example, 375 out of about 2300 active police force members (excluding cadets), or 16% of the members, earned approximately 41% of all overtime as of November 30, 2016. 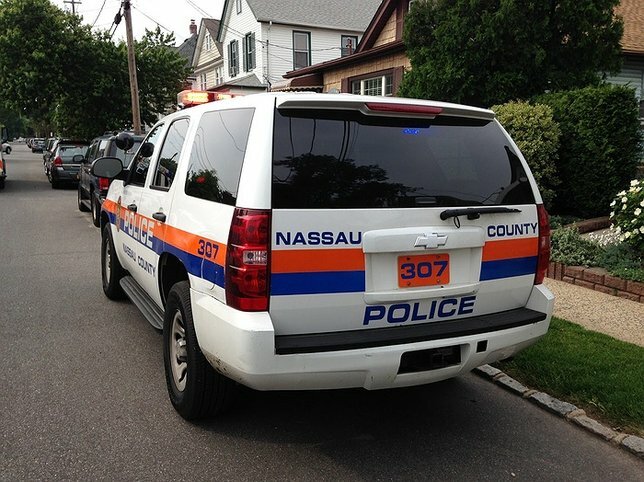 For the first time in 2016, Nassau County will have a number of police members who will earn more than $300,000 in total earnings. It is important to note that most police members, almost 84%, earned less than $50,000 in overtime pay, and as of November 30, the median overtime earned by all active police members was $22,300. With one month still remaining in the year, 281 police force members have already earned a combined salary including overtime, holiday pay, longevity pay, shift differential and other pay of more than $200,000. 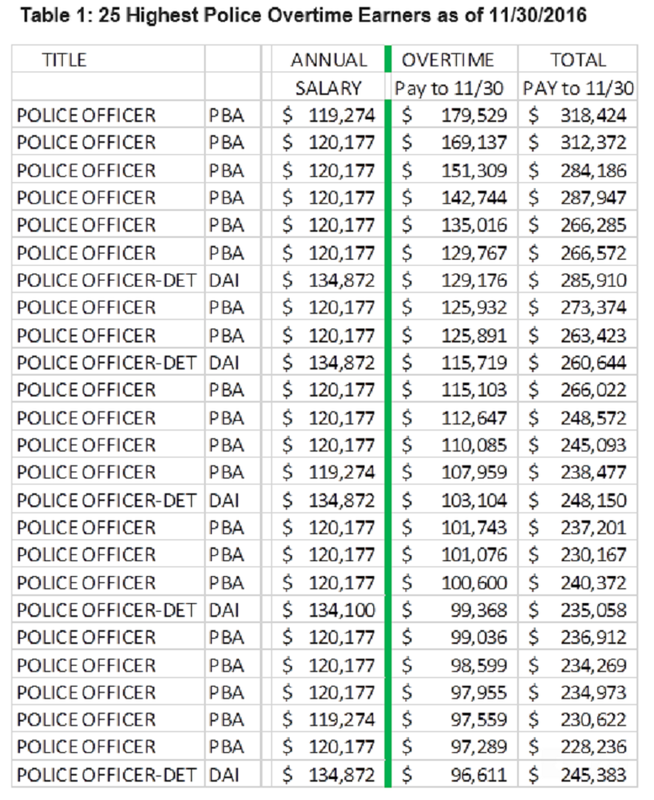 As of November 30, 2016, two officers have already earned more than $300,000 in total compensation, and by year-end, an additional six (6) police force members will likely exceed $300,000 in total compensation. Table 1 below shows the total compensation for the 25 top overtime 25 earners. Subject: LongIsland.com - Your Name sent you Article details of "Maragos: Nassau Police Overtime Out of Control"